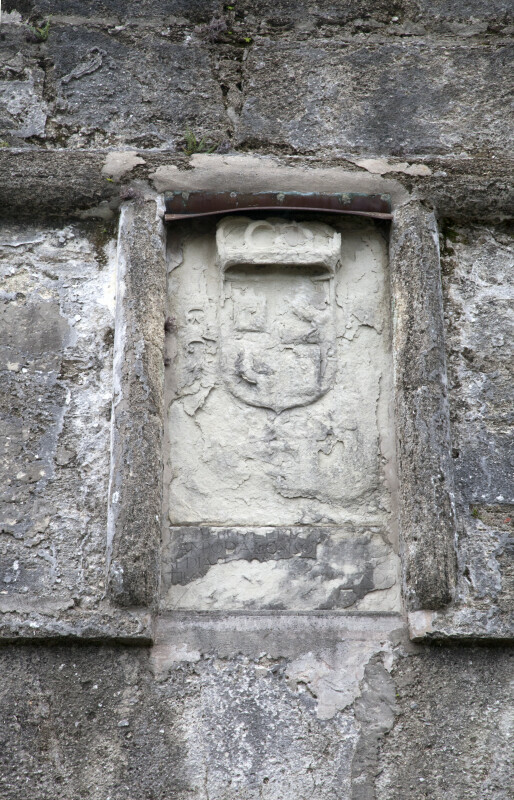 This weathered coat of arms is displayed above the main gate of Castillo de San Marcos. This is a simplified version of the coat of arms used by the Kingdoms of Castille and Leon. The fort is a National Monument, and is listed on the National Register of Historic Places.